P&H (UK) have been in the business of making world-class kayaks for more than 40 years and are renowned for both their novel designs and high quality of their kayaks. The Cetus shown here is a fast stable cruiser built for load carrying and is an easy-to-paddle boat for long distances. It's made of a fiberglass composite and has a "4th port" right in front of the cockpit which makes access to snacks, camera etc really easy. It's great for medium to large paddlers. The Capella, not shown, is a great all-round kayak of classic British design, well known for it's stability and is often used to introduce people to sea kayaking. Made of fiberglass composite, it is light, maneuverable and responsive and has great tracking in waves and following seas. 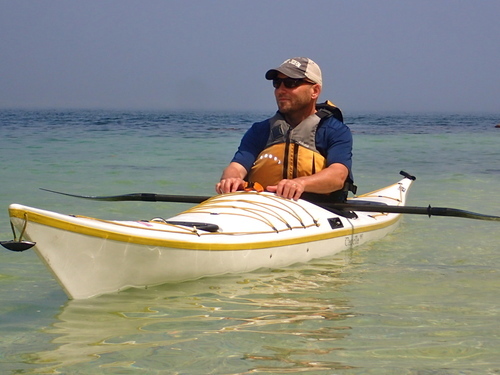 Nigel Dennis Kayaks in the UK has been producing award-winning high performance sea kayaks for the past 25 years and NDK kayaks are often held up as the standard by which other sea kayaks are judged. Exceptional maneuverability, direction stability and good storage capacity are the norm. Kayaks have a keyhole cockpit which gives the kayaker excellent grip and allows for a quick exit if needed. The Explorer and the Romany both have three compartments, including an offset day hatch, allowing the kayaker to reach into the compartment whilst at sea. There is a sloping rear bulkhead behind the seat, allowing the kayak to be emptied by lifting the bow. The Explorer is a sleek, stable expedition kayak with a long waterline - it's fast, maneuverable, turns well and tracks nicely even in an adverse conditions. 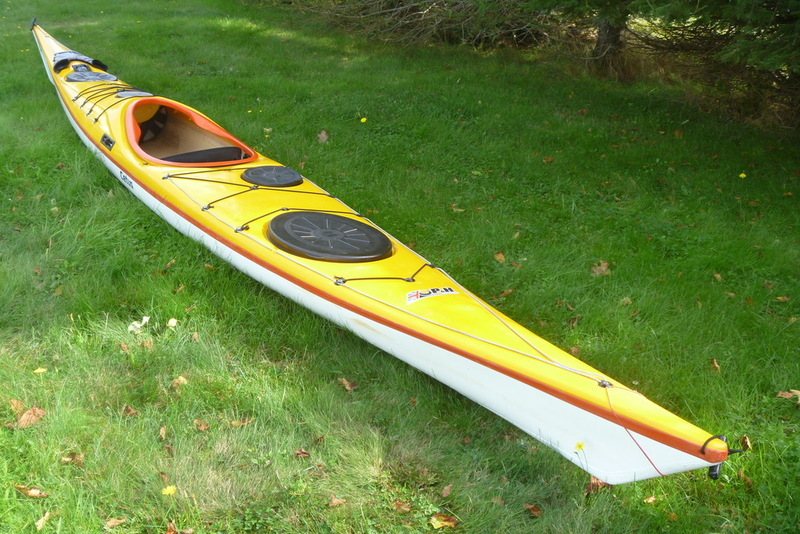 This is a maneuverable and stable kayak for the medium sized paddler. Designed for rough water and ease of handling in conditions. Its easy handling makes it the first choice for both first time buyers and seasoned paddlers. 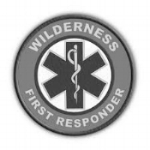 Made of a composite hybrid of fiberglass, carbon fiber, and Kevlar, the 18X and 16X kayaks are lightweight, sport-performance kayaks weighing under 40 lbs. In They have an advanced Epic Track Master™ steering system, an adjustable seat, and front deck cutaways for a closer, more efficient stroke. Ample storage space makes the 18X and 16X both excellent choices for day trips. Epic kayaks don't have the "look" of traditional sea kayaks. Epic has done away done away with the upswept bows and sterns common on traditional and British style kayaks. 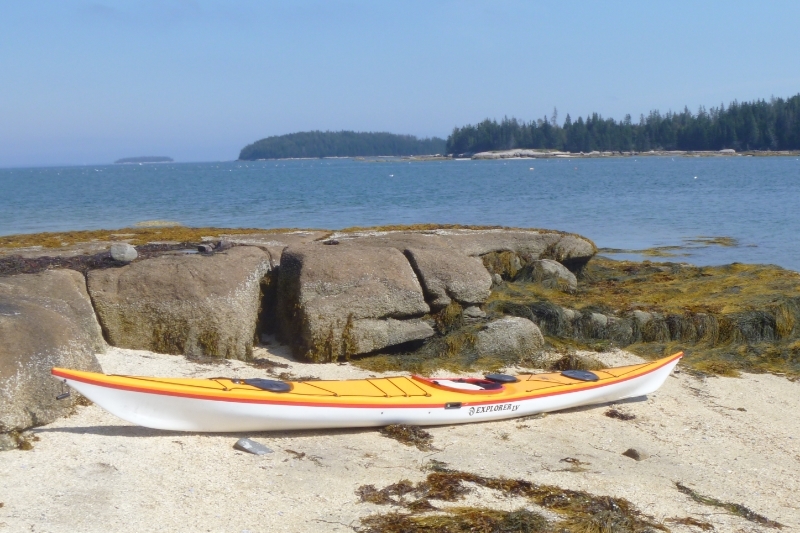 The standard view is that sea kayaks require extensive "rocker" (curvature under the keel) and extended-bows (amount of bow in front of the water line) to perform well in waves or rough water conditions. Epic kayaks have ample rocker but minimal extended-bow. This gives Epic boats a maximum waterline length which has proven to be more efficient in all water conditions. If this sounds like just too much technospeak then the best test is to try one out, their performance on the water is quite amazing.